South Florida Native , Forrest grew up a 3rd generation Oceanman. Utilizing freediving for uw photography,hunting, recreation and exploration, Forrest has spent decades as a "student" to Mother Nature. 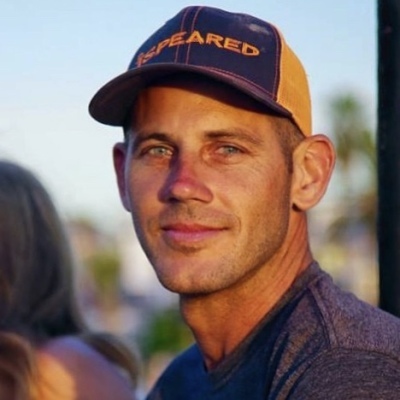 In 2002 he began his journey of Freedive safety Advocacy and continues to promote Freedive safety through courses, public speaking, and Freedive events throughout Florida. This amazing path set Forrest on a quest to learn as much as possible, taking as many Freedive courses as he could get his hands on, leaving no stone unturned, thirtsy to constantly improve and gain as much knowledge / skills as possible. This QUEST led to learning from instructors from multiple agencies as well as World class Freedivers, , thus giving him a well rounded multi faceted set of skills and freedive knowledge. Then came a childhood dream, the world of Competitive Freediving, where in 2015, and in his first Freedive Competition , Forrest surpassed the depth of 60 meters / 200+ ft while using traditional Spearfishing / Freediving gear..... Mask, snorkel, and bi-fins. Then in 2016 Forrest set a Personal Best of 78 Meters/ 257 ft with Bi FIns. Few Americans have accomplished such depth in the manner Forrest did. How was this accomplished? By utilizing techniques learned in the classroom, in the water and from countless incredible freedivers/ world class athletes and freedive instructors..... these same skills and techniques are what Forrest uses in each and every freedive course he teaches. Want to learn more ?! Give Forrest a call and see for yourself how you can turn your freediving dreams into REALITY!! Come LEARN at North America's PREMIER Freedive Facility!! NO BOAT FEES!! Crystal Clear Freshwater Springs, unlimited DEPTH, on-site cabins/rooms, and PERFECT conditions ALL YEAR LONG!! NO cancelled classes due to poor conditions!!! Join us for a guaranteed amazing Freedive Experience!! Go Native Freediving is proud to use some of the finest Freedive / Spearo GEAR on the market. While we endorse and promote freedivers developing and honing their skills and techniques , we also stress the importance of reliable, comfortable, well performing dive gear. For these reasons we use RIFFE International Freediving gear and C4 Carbon Fins. The performance, durability and value of these Brands are top notch! Each and every Go Native Freediving student will have the oppurtunity to DEMO the same products their instructor uses in class.